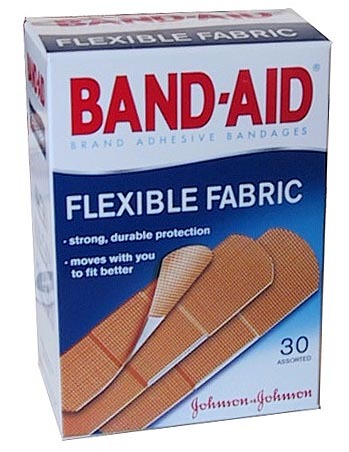 Bandages to keep your well-learned lessons from getting on the carpet. I saw it coming: the crack in the sidewalk, the running pre-schooler pitched forward, her feet moving quickly to stay under her big ol’ head. She looked backward at me with a smile, hit the raised bit of sidewalk and toppled forward, meeting the concrete with a full body smack- hot tears, bloodied legs, stinging palms. I knew it was coming. It was knowledge I gained long ago, a lesson reinforced multiple times when my eyes were closer to the Earth. I fell the same way she had. I fell playing basketball (and by playing, I mean dribbling the ball off my foot and chasing it down.) I skinned my elbows in centimeters and my knees in square inches. I fell off monkey bars, off walls, off of my own feet. An a-hole first grader, swinging on the swings, kicked me in the face when I strayed too close during the first week of kindergarten. (I don’t remember your pretty name, a-hole, but I remember your pigtailed sour face when you yelled at me to watch where I was going and called me stupid as I held my bleeding nose.) I got hurt like any active kid. Each scab was a lesson, a refining of my physical skill and of my knowledge of self and place. Getting hurt is a critical part of growing up. It reveals our limitations. I cannot hang from a bar by my toes; lesson learned! It teaches us to consider consequences, and makes us better informed risk takers. As modern, 1st world, parents of privilege (I consider college educated people with incomes and maybe even a co-parent privileged,) we often feel like it’s our job to protect our kids from hurts. Children should listen to us when we tell them not to climb too high, not to run, not to play chicken on their bikes. They should learn from our scars to avoid collecting their own. It’s too bad this doesn’t work. Experiential discovery is the quickest and clearest way to learn. Our ever-watchful eyes and persistent badgering only result in less fun for kids and more frustration for “attentive” parents. With each of my toddlers, I remember kissing their beautiful smooth knees in April and thinking with gratitude and a smile, “This summer will be the end of these pristine little knees.” Let the learning begin! This entry was posted in Growing People, Uncategorized.